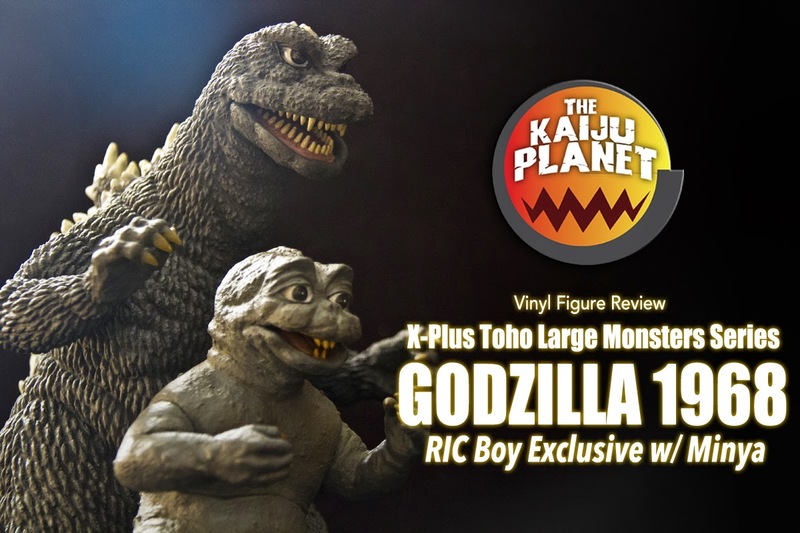 Leslie Chambers reviews the Toho 30cm Series Godzilla 1967 (東宝30㎝シリーズ ゴジラ(1967)) RIC Exclusvie Version vinyl figure by X-Plus. This came with a two extra in-scale Minya / Minilla figures. YouTuber Joebiz34 reviews the 30cm Series Godzilla 1967 RIC Exclusive Version vinyl figure by X-Plus. This one has a very long intro. Skip ahead to 1:14 for the true start of the review. YouTuber ぎわちん。 reviews the Toho 30cm Series Godzilla 1967 RIC Exclusive vinyl figure site by X-Plus. 東宝30cmシリーズ ゴジラ1967. This RIC version came with two in-scale Minya figures. William Schmeiske, on his Youtube channel Godzilla 65, reviews the Toho Large Monster Series ‘Son of Godzilla’ Commemorative Set by X-Plus. This set was released at Wonder Festival 2016 (Summer) in Japan and includes reissues of the Toho Large Monster Series Godzilla 1967 and Minya. Also included is a slightly reworked reissue of the Toho Large Monster Series Kumonga. The original release had purple eyes to match the eyes as they appeared throughout most of the movie. There were times, though, where Kumonga’s eyes had gone red as they are in this set. William also places this set beside the Large Monster Series Kamacuras released last year. Together, all four figures complete X-Plus’ Son of Godzilla, 怪獣島の決戦 ゴジラの息子 (1967) kaiju line-up. X-Plus has announced even more reissues! This upcoming set will include the Large Monster Series Godzilla 1967, Minya 1967 and Kumonga 1967… all in one box!!! Update: X-Plus just released photo of the set and, for some reason, Kumonga has red eyes. (?) I don’t remember this guy ever having red eyes. I could be wrong, of course. But even if he did at one point, most of the time (probably 90% of the time) they were purple. Not sure I like this. Anyway, it’s being put together specially for Summer Wonder Festival 2016 (garage kit convention) which will take place Sunday, July 24 at the Makuhari Messe in Chiba, Japan. Don’t get excited yet. These sets will be more difficult to get than usual. Only 200 sets will be made. 100 of them will be available at Wonder Festival. I believe they may be limited to only one per customer. Another 80 sets will later be sold to winners of an online lottery which will take place soon at the X-Plus Shounen Ric webstore. The final 20 sets will be made available at the Amazing Model Expo which will be held August 13. The price will be ¥30,000 ($286 USD). Good luck to all who will pursue this set. Especially those who have already preordered the upcoming Large Monster Series Kamacuras or Kamacuras set. 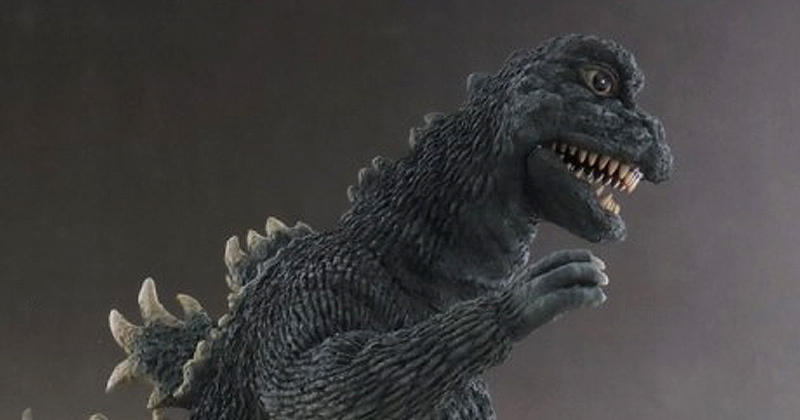 We’ll now have a complete Son of Godzilla lineup on our shelves! • You can see more photos of the Son of Godzilla Set at the Ric Boy site. • See the Kaiju Addicts Large Monster Series Kumonga Review. The Kaiju Planet reviews the Toho Large Monster Series King Ghidorah 1968 vinyl figure by X-Plus. Click here to see his review!